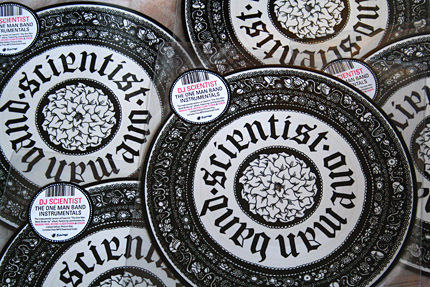 Ceschi’s album “The One Man Band Broke Up”, entirely produced by DJ Scientist, was released in June 2010 and immediately became a success on the independent market. Many magazines and fans already designated it “album of the year”, Okayplayer called it “a significant piece of art”, giving it 89 of 100 points, while URB mag even stated it is „one of the best conceptual hip hop records to drop in the past decade“. Aside from Ceschi’s incredible lyrical talent, many reviewers honorably mentioned the beautifully arranged and detailed production work backing the vocals, recognizing it as a major force behind the success of the album. On the instrumental version of “The One Man Band Broke Up”, that is now released as a beautiful limited vinyl picture disc on Equinox Records, one can hear how meticulously those songs have been put together and arranged, and how all tracks, alongside sundry interludes and vocal samples, result in a new and one of a kind album that is equally as entertaining, bright and powerful as any Blockhead or RJD2 release. 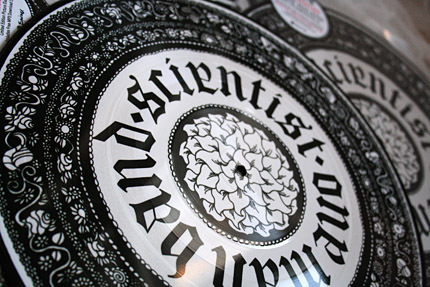 With cinematic drums, a large variety of sounds and samples as well as chopped live instruments, main tracks like “Half Mast”, “No New York” and “Hangman” stand out with hard hitting beats while the more mellow and folky tunes like “Bad Jokes” or “Long Live The Short Lived” give the album the smooth melancholy bliss Scientist is known for. 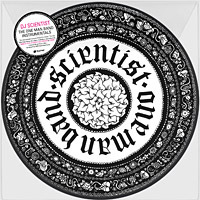 Without even trying, “The One Man Band Instrumentals” by DJ Scientist could possibly be one of the best organic sounding instrumental hip hop releases this year. The vocal version of the album can be found here.